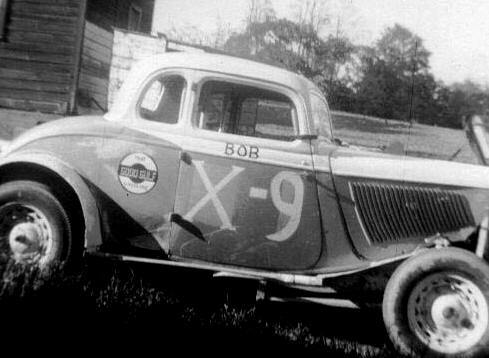 Bob,Sr. 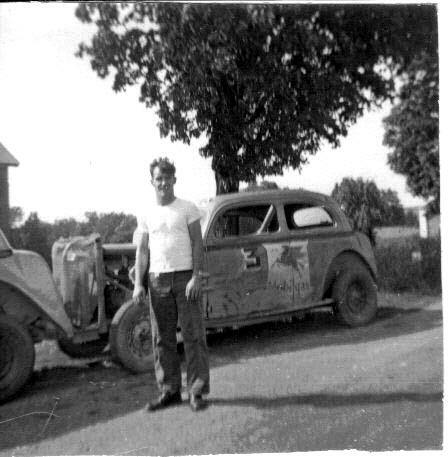 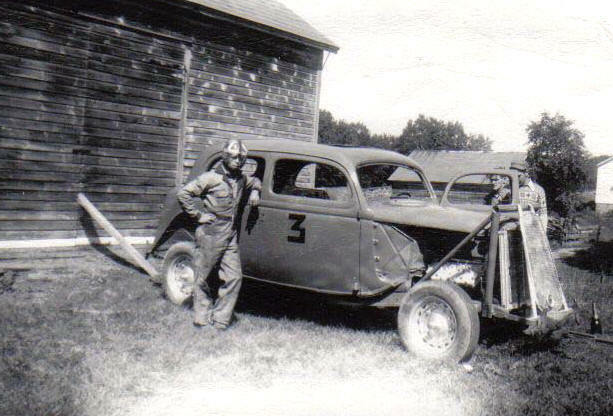 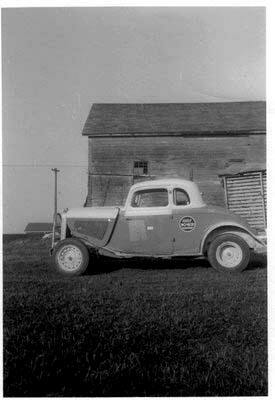 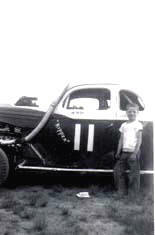 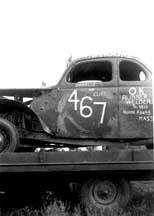 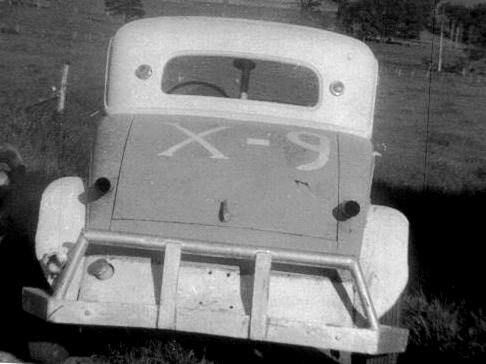 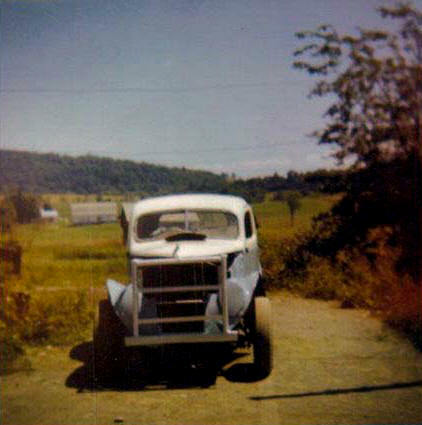 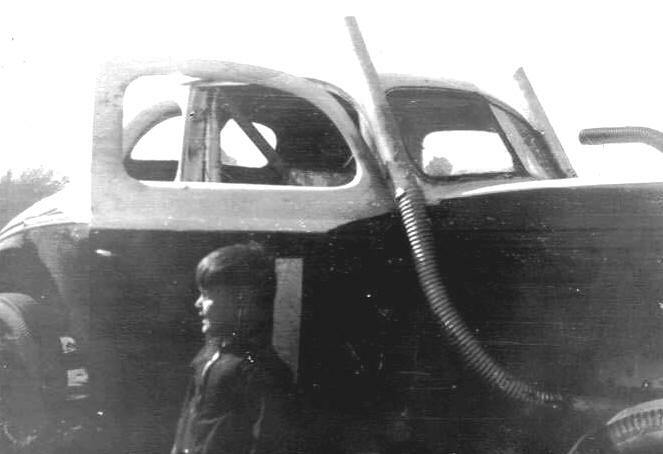 , by one of the family barns, with his first car. 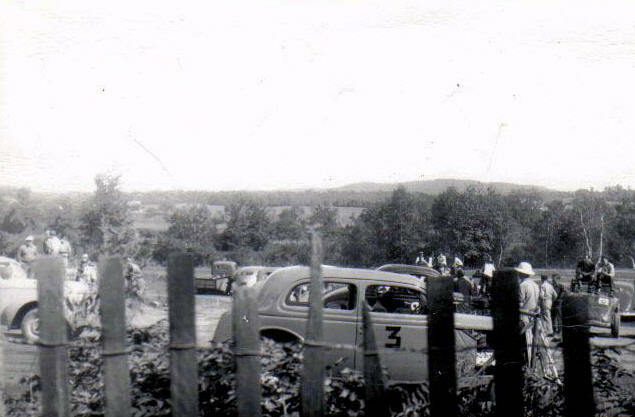 Note the football and the admiring neighbors. 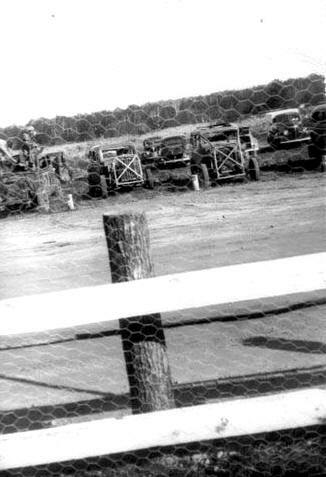 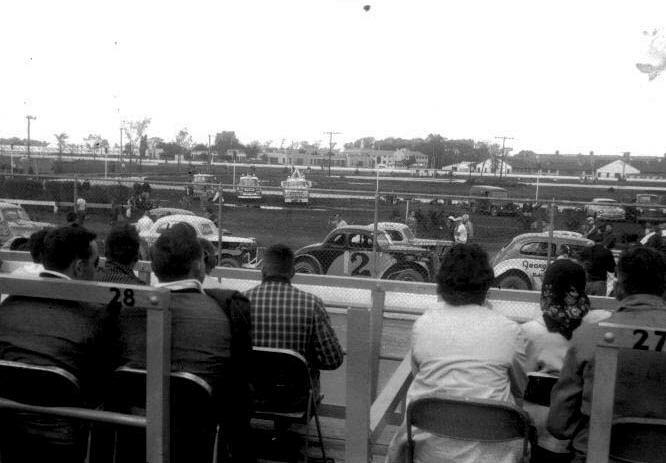 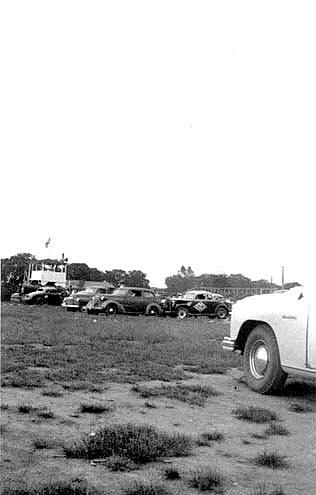 When I first went to races at the Fairmont Speedway in 1962, it had been a long time since I had gotten to see racing on any regular basis. 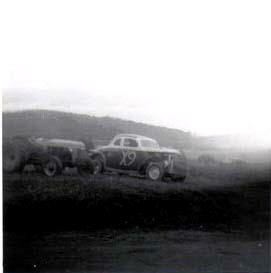 Therefore, I had no idea what to expect - in terms of what the cars were like. 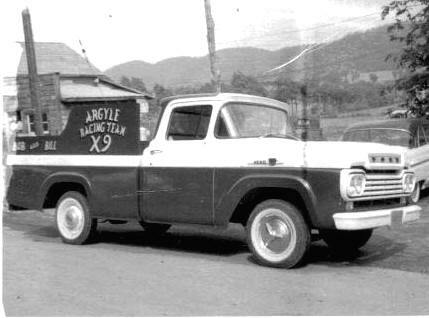 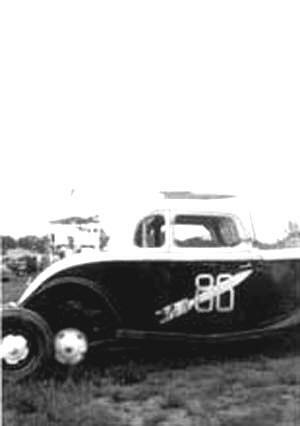 Very similar to observations that Ben Gurney would send by email some 45 years later, I noticed one team that seemed a little more professional - looking than most of the others at CJ's track that first month : The Argyle Racing Team, with its X9 car. 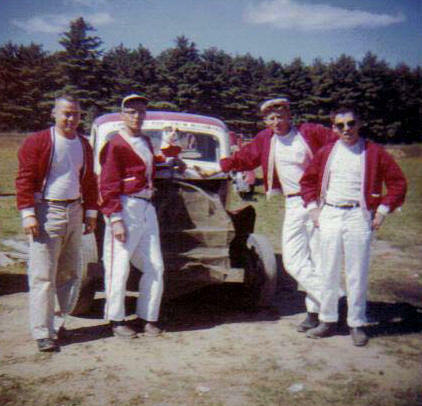 Ben had said the same thing about the same team when he saw them at Warrensburg, in the 1950's. 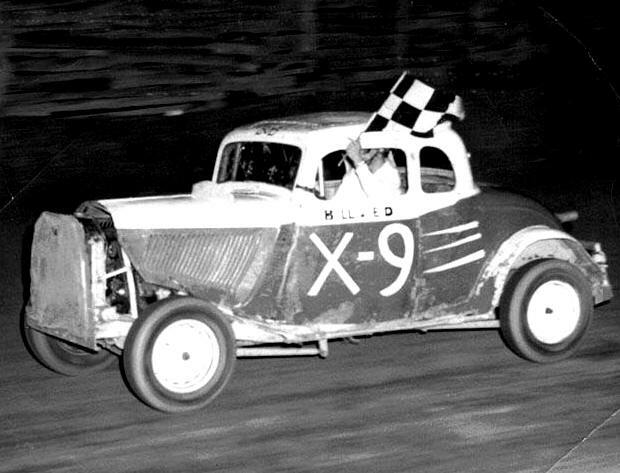 Although Bob Hoffer didn't win much, he always had that great look, so I have remembered him. 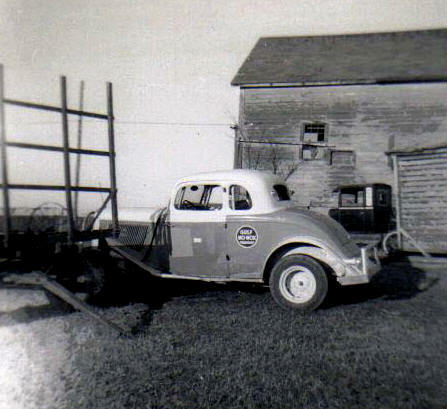 The color - coordinated tow truck added to the professionality of the team. 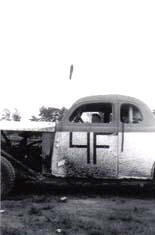 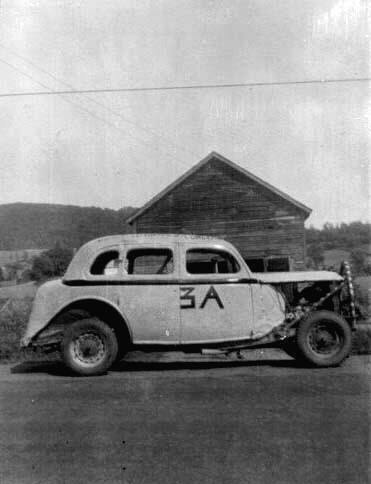 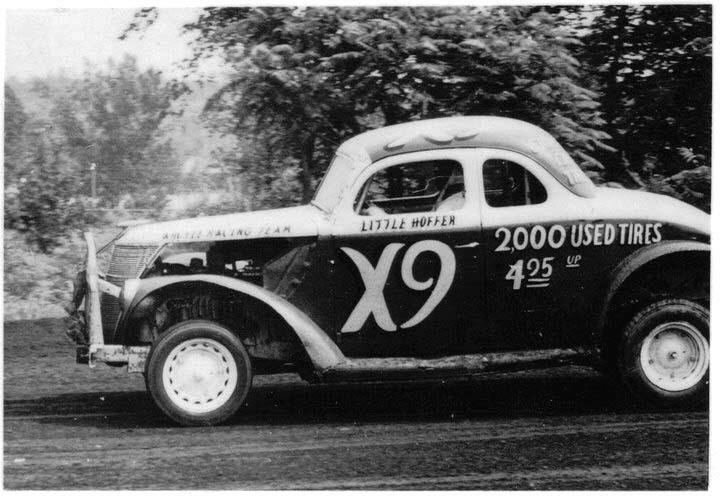 I took a good photo of the Hoffer car at the Vermont State Fairgrounds, that first CVRA year. 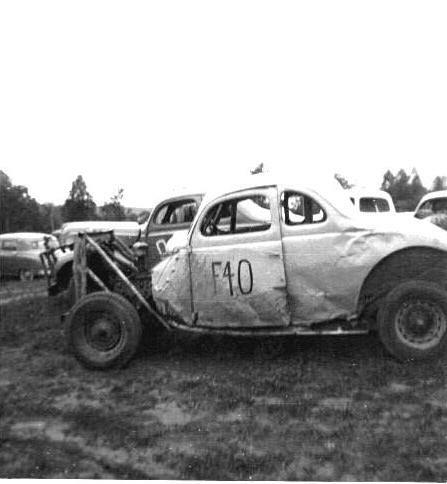 I wish I could have gotten more detail because the late Bob, Sr. was backing it into their pit area, and the car still had one of those driver's doors you could open. 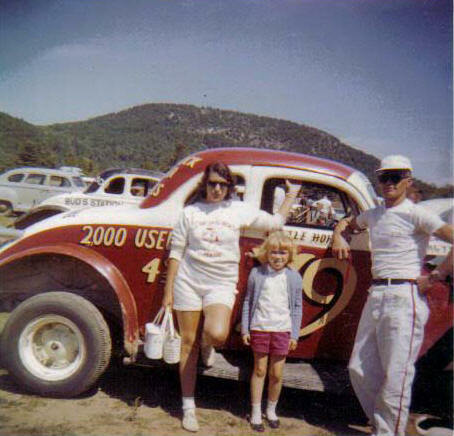 It would have been a good shot for the family. 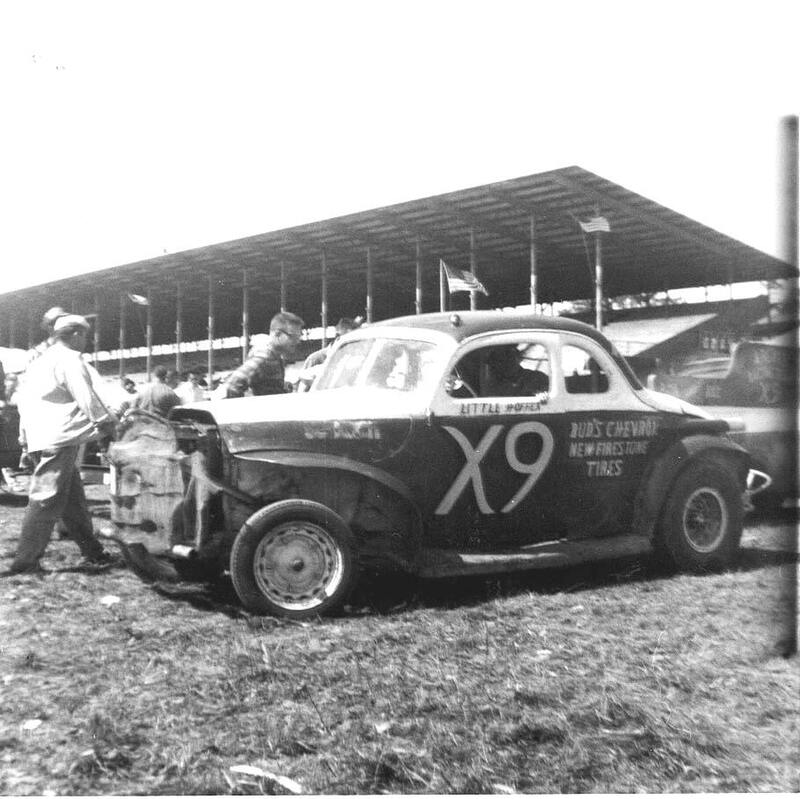 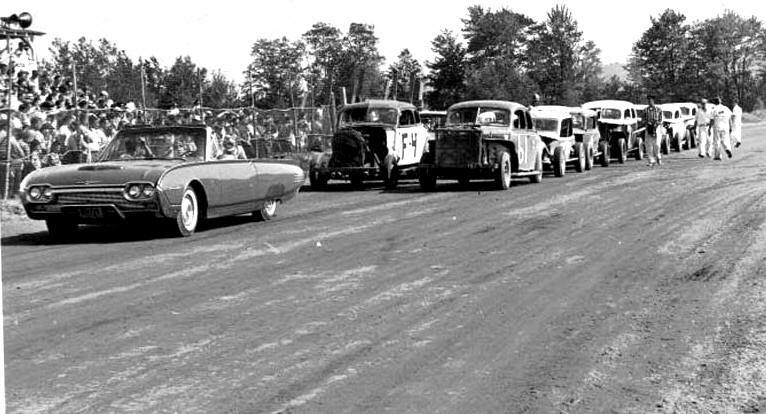 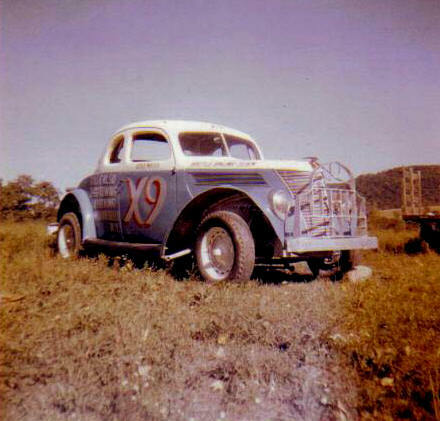 Bob backs up the X9 in the infield at CJ Richards' 1962 stock car race. 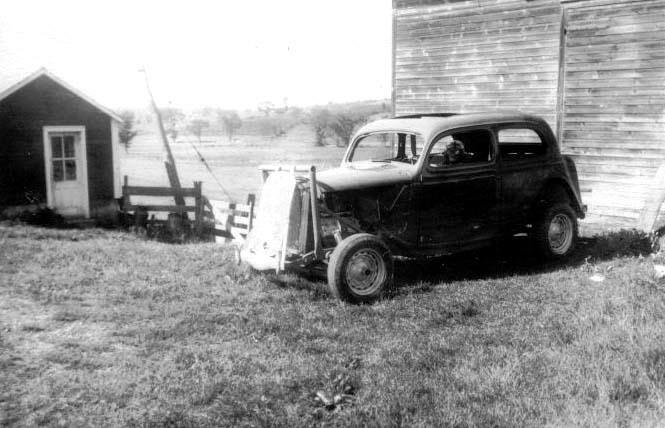 Note the driver's door still opens. 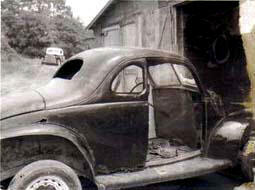 or maybe the 2nd car. 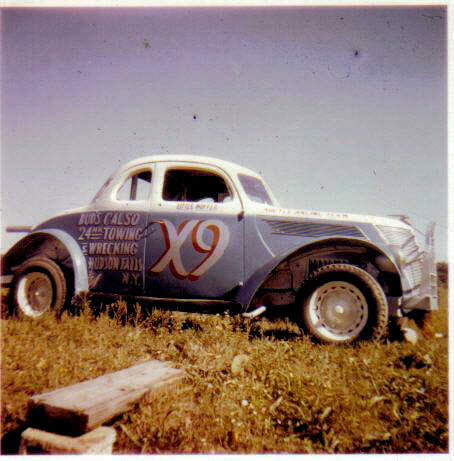 and X9 were put on. 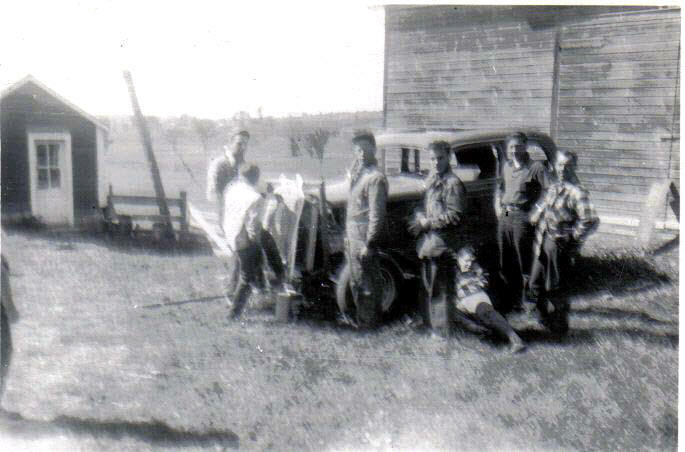 home on the Hoffer farm. 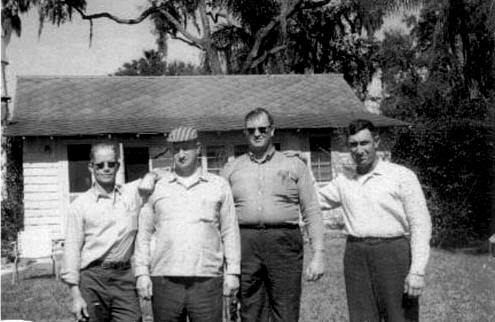 What is with the pants ?. 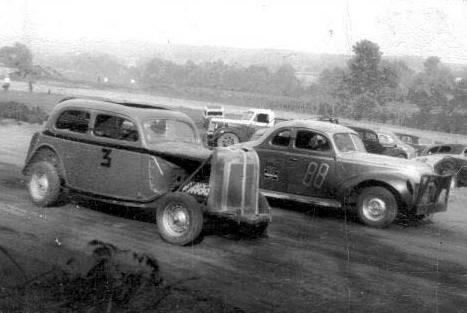 Bob on track at Syracuse. 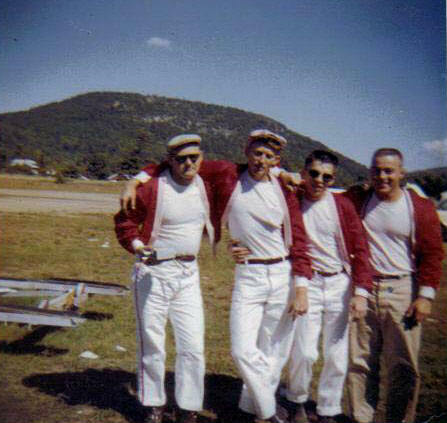 Claremont, NH; [3rd inside] 7, Joe Spellburg, Glens Falls, NY: and [between officials]M2, Frank Hatch, North Adams, MA. 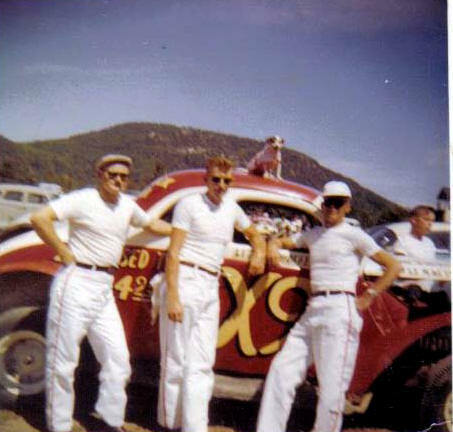 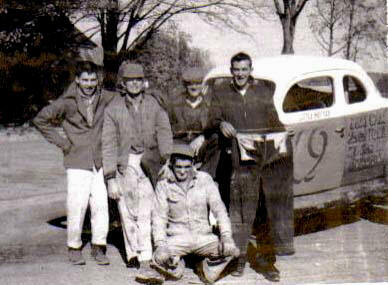 Bob Hoffer, down South, with Norm Scarborough [3rd from left] and two of the Ryan family from Whiting.